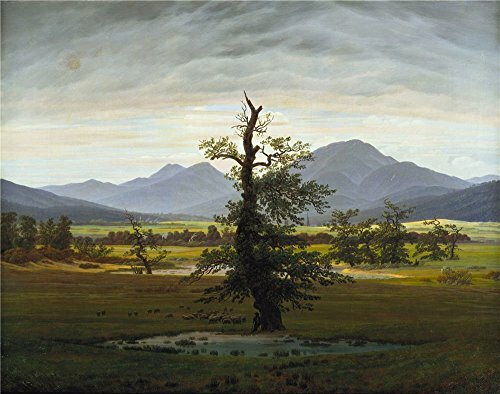 This is a canvas print, named Caspar David Friedrich Der einsame Baum . The size is 16 x 20 inch / 41 x 52 cm. Your customized sizes are acceptable, please send me emails.